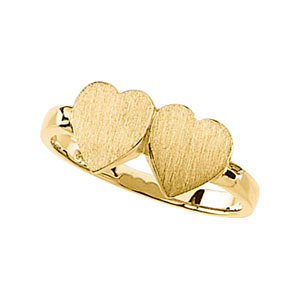 Select from 10K, 14K, or 18K Yellow Gold and create your own personalized and engraveable double-heart signet ring. 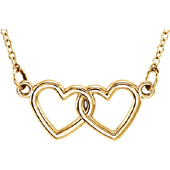 Also available in white gold, rose gold, or sterling silver, shown below. We guarantee our Double-Heart Engraveable Gold Signet Ring to be high quality, authentic jewelry, as described above.